Dare to go bare... because less is more! Getting rid of unwanted facial and body hair has been a dream for women and men for centuries. With advanced laser hair removal technology that has become available to us in recent years, this dream has become a reality. Hair removal lasers have been in use for the past 10-15 years and have been FDA approved since 1997 for "permanent hair reduction." Laser hair removal is a long-term, stable reduction of re-growing hair after an average of 6-8 sessions. The number of treatments required depends on various factors, such as hair color, coarseness of hair and hormonal problems. The coarser and darker the hair, the sooner it will go away, but keep in mind since Laser hair removal is not 100% permanent, you may need to do touch up or maintenance treatments every few months or every year. There are many different hair removal lasers on the market today and not all are equal. 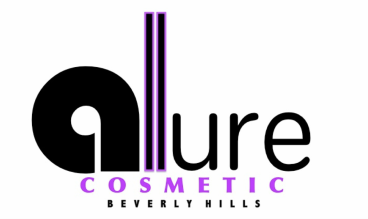 At Allure Cosmetic of Beverly Hills, we use a state of the art FDA approved laser by Venus Concepts. This top of the line lasers safely and effectively treats hair on all skin types. 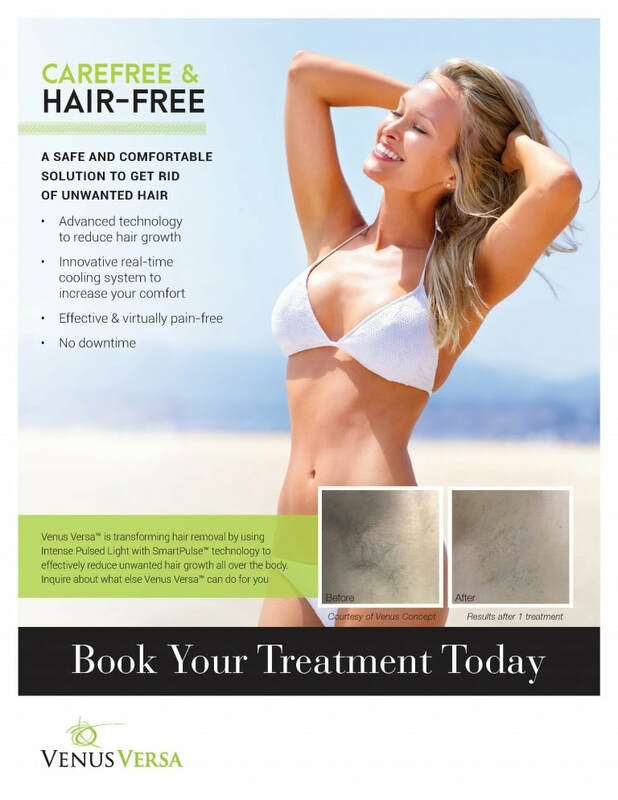 What makes the Venus Versa laser stand out from others is its proven efficacy in removing hair and destroying the hair follicle, while keeping the pain level to a minimum as a result of integrated cooling systems that keep the skin cool while heat is directed to the hair follicle. Hair grows in stages and it’s only during its growth cycle, when the hair is still in its follicle, that the removal process is most effective. The Venus Versa™ Hair Removal applicator combines a high level of light energy (Intense Pulsed Light technology) with maximum heat distribution to multiple hair follicles at a time. The energy penetrates into the deeper layers of the skin, targeting the pigment in the follicle beneath the skin’s surface, but without damaging any of the surrounding tissue. Destroying the underlying follicle gets rid of the existing hair but also inhibits future hair growth in that area. The SmartPulse™ technology ensures safe and consistent heat distribution, while the real-time cooling system keeps skin protected.